We know that most men are hesitant to buy anything other than black socks, and even more so, polka dot socks, but we’re here to say give the dots a chance. Coming from a lady’s point of view, I’ve got to say that sometimes it’s actually pretty charming and endearing to see a man rock a pair of unconventional socks. A flash of color here & there keeps the soul young (actually I just made that up, but it sounds believable). Available now through Nordstrom. 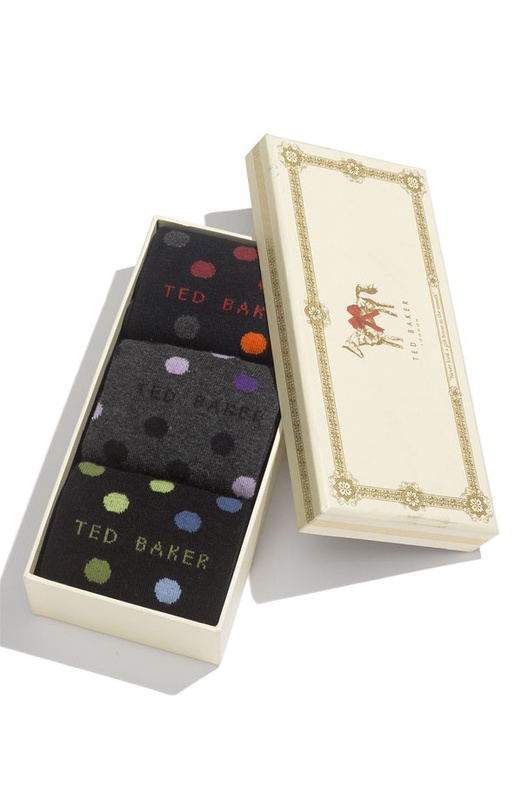 This entry was posted in Footwear and tagged Ted Baker. Bookmark the permalink.